The Lyceum is Broadway's oldest continually operating legitimate theatre. Designed by Herts & Tallant and built by producer-manager David Frohman, the theatre officially opened on 2nd November 1903. David's brother Charles Frohman served as the theatre's manager until he died in 1915. The inaugural production at the venue was the play The Proud Prince. It was later purchased in 1940 by a conglomerate of producers which included George S. Kaufman and Moss Hart, and then in 1950 the Shubert Organization took ownership of the theatre. 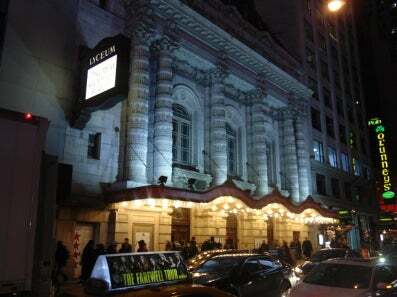 In 1974 the Lyceum Theatre became the first-ever Broadway theatre to be granted landmark status.